'Electrifying Acoustic Blues, raw, live & rowdy featuring Terry's monster slide & meticulous finger-pick accompanied by Ronnie's soulful master-class harmonica. Original tunes by Terry & Ronnie with classic blues favorites. Blues masters Terry Garland and Li'l Ronnie have been performing as a duo since December 31, 2009. Although they had performed together in the past, this time it really clicked. Their electrifying sound mesmerizes the listener. Both Terry & Ronnie have long distinguished recording careers, as they are both vocalists, songwriters and interpreters their repertoire is varied, exciting and spontaneous. Terry Garland is known internationally as a master slide and acoustic guitarist. Terry performs world wide and has performed at top blues festivals across the globe. The artist's impassioned songs, rare musical insight and depth make him one of the most innovative and praised contemporary blues and roots musicians. Terry's meticulous finger-picking and driving percussive foot-stomping unite with his vocal prowess to create an evocative, engaging transformation. Born in Johnson City, TN., Terry's musical roots were pioneered by forefathers of the blues. During his youth, he studied the sounds of Robert Johnson, Jimmy Reed, Blind Willie McTell, Howling' Wolf and Lightning Hopkins, who inspired him to follow his calling. These pioneers played the blues on guitar or piano, they were the music. Just a voice and an instrument. Harpist, singer/songwriter and Hohner Harmonica endorsee Ronnie Owens has been performing since the 60's and has been fronting his own bands for over 25 years. Ronnie and band have performed at top music festivals and venues including a headlining performance at the prestigious Lincoln Center. They have also played with and opened shows for some of the biggest names in the blues /rock world. 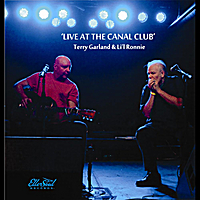 Terry and Ronnie recently recorded an electrifying live CD, 'Live at the Canal Club', with a planned release date of January, 2011. Terry and Ronnie are very excited about their new musical partnership. Terry and Ronnie are available for festivals, events, private functions and music venues.